Life span of patients suffering from end-stage gall bladder cancer (GBC) has been doubled, reported by doctors of a leading hospital in India, thanks to a new chemotherapy regimen. GBC is difficult to detect and diagnose. The only curative treatment for it is surgical resection removal of gall bladder and its surrounding parts. 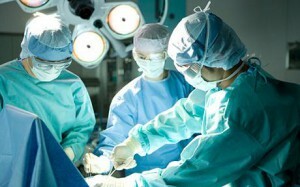 But unfortunately, 90% patients are diagnosed with the illness in the advance stage when surgery is no more an option. Till date, the most common treatment for GBC patients was supportive care like administering painkillers. The patients, who underwent this form of care, had a median survival rate of 4.5 months. But now, a two-year study involving 81 patients conducted by Doctors, the hospital found that patients, who received a new chemotherapy combination using gemcitabine and oxaliplatin (Gemox), could live for 9.5 months (double of the present survival rate). Similarly, the progression of disease was delayed to 8.5 months in Gemox group as compared to 3.5 months for those receiving supportive care. 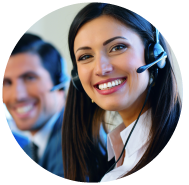 Gall bladder cancer is the fourth common form of cancer among women in the capital. Study shows that eight per 100,000 women are afflicted with it. This is one of the first important studies, where role of chemotherapy has been shown conclusively to improve survival in GBC patients who cannot undergo a surgery compared to supportive care. This is a small but an important step in the treatment of such patients. We will now compare Gemox with another drug combination of gemcitabine and cispaltin. GBC treatment till now was more symptomatic. Some patients with pain would be given pain killers. Others would suffer from jaundice or anemia. But there was no definite evidence that treatment of these patients with chemotherapy improved survival. This randomized trial of Gemox clearly confirms prolonged survival for late stage gall bladder patients. The comparison study will involve a bigger sample size of 250 patients, and will take three years to complete. 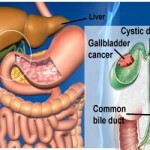 GBC is the most common biliary tract cancer. It is the fourth most common cancer among women in north India after breast, cervix and ovary. Only 10% patients are fit for surgery, and the rest are diagnosed in advanced and unrespectable stage. Hence, they can only undergo palliative treatment. Gall bladder, a pear-shaped organ lies beneath liver in the upper abdomen, stores bile a fluid made by liver to digest fat. When food is being broken down in stomach and intestines, bile is released from gall bladder. There aren’t any noticeable signs or symptoms in early stages of GBC.